Robert L. “Bob” Ashby, age 94, of Evansville, IN, passed away at 1:22 p.m. on Monday, January 28, 2019, at Deaconess Midtown. Bob was born May 12, 1924, in Pike County to Charles and Edna (Hays) Ashby and spent his formative years on a farm in Gibson County. He graduated from Princeton High School in 1941 and married Catherine “Kate” Arbuthnot in 1943. Bob was a Veteran in the United States Navy, where he served aboard the aircraft carrier USS Cabot (CVL 28) in the Pacific Theater during World War II. He was a charter member of the Brake Supply, having helped open the business in 1947 and retired as corporate treasurer and sales manager. Bob and Kate lived in Francisco, her hometown, for the first 25 years of their married life, and they have lived in Evansville since 1967. He was a member and a Past Master of Oakland City Masonic Lodge #467 and Scottish Rite of Evansville, Toastmasters, Gideons, and several discussion groups. Bob and Kate were former members of Francisco United Methodist Church and current members of Aldersgate United Methodist Church in Evansville. He is survived by his loving wife of 76 years, Kate Ashby; daughter-in-law, Kathy Ashby; grandsons, Terry Ashby, Jr. and Kyle Ashby; sister-in-law, Jonnie Ann Ashby; and several nieces and nephews. He is preceded in death by his parents; son, Terry Ashby; sister, Emma Lou McAtee; and brothers, Sheldon Ashby and Paul Ashby. The family would say a special thank you to the nurses on the 4th Floor of Health South Rehabilitation Hospital at Deaconess Midtown. 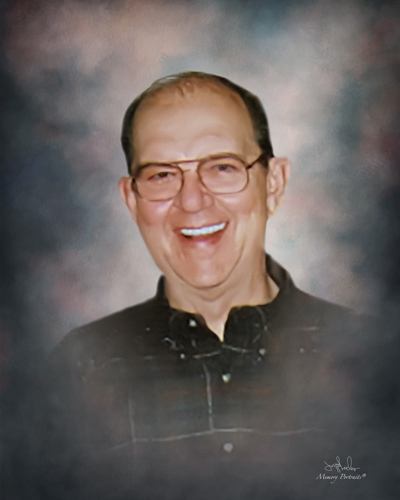 Funeral Services will be held at 10:00 a.m., Saturday, February 2, 2019 at Boone Funeral Home East Chapel – A Family Tradition Funeral Home, 5330 Washington Avenue with Pastor George Purnell and Pastor Jim Clark officiating. Entombment will be in Oak Hill Mausoleum where the Vanderburgh County Retired Veterans will perform full military rites. Friends may visit from 3:00 p.m. until 7:00 p.m., Friday, February 1, 2019 and from 9:00 a.m. until service time, Saturday, February 2, 2019 at Boone Funeral Home East Chapel. The Oakland City Masonic Lodge #467 Service will be held at 6:30 p.m., Friday, February 1, 2019. Memorial Contributions may be made to: Aldersgate United Methodist Church at 5130 Lincoln Avenue, Evansville, IN 47715 or The Gideons International Processing Center at PO Box 97251, Washington, DC 20090-7251.